If you missed signing up for health insurance during Covered California’s Open Enrollment period, you might still be able to get health insurance if you have the right qualifying event. If you have the right qualifying life event then you have a Special Enrollment Period to sign up for health insurance. Be prepared to submit proof of your qualifying life event to Covered California or the health plan. You can enroll in health insurance outside of the Open Enrollment Period through Covered California or directly with a health insurance company if you have a qualifying life event. 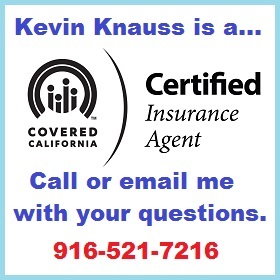 Covered California will randomly verify the consumer’s qualifying event documentation to make sure it is legitimate. However, you must submit the proper documents to verify your qualifying event with off-exchange plans or those you are enrolling in directly with the insurance company. They will not process the enrollment without proof of the qualifying event. There are many events that DO NOT qualify as a life event for a Special Enrollment Period. A significant drop in household income does not qualify you to apply to Covered California for the tax credit subsidy to lower your monthly health insurance premium. If you are already in Covered California, you can report a change of income and then select a different health plan. If your health insurance was terminated for non-payment of premiums, that is not a qualifying event to enroll with either Covered California or an off-exchange health plan. If you have opted to enroll in COBRA coverage associated a former employer sponsored health plan, and you learn you must pay the full premium, that is not a qualifying event. You must apply for coverage with a qualifying event of loss of coverage for a Special Enrollment Period. Once you opt into COBRA, you have selected a health plan and no longer have a qualifying event. 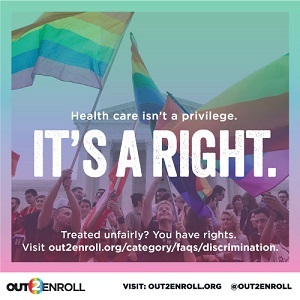 If you people, neither of whom has health insurance, get married, that is not a qualifying event for both of them to enroll in health insurance. If they have a baby, the new born can be covered under the qualifying life event of being born. Technically, if your new spouse has not had health insurance in the prior sixty day, he or she is not eligible for individual and family health insurance under federal guidance. Be careful listing a pregnancy in Covered California because you may be automatically enrolled in the Medi-Cal program for pregnant women and infants. Voluntarily terminating your Medi-Cal coverage is not a qualifying event. 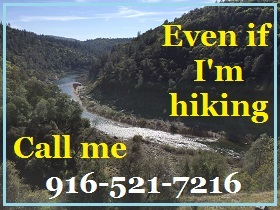 However, if you lose your job or there is a significant drop in household income you may qualify for Medi-Cal. If the next month your income jumps up, you can report the increased income to Medi-Cal and you might be released to enroll in either Covered California or an off-exchange health under loss of Medi-Cal coverage. Moving within California when you are already a resident is not a qualifying event for health insurance. Only if you move into California and establish permanent residency is that considered a qualifying life event. Technically, if you have not had health insurance in the past 60 days prior to moving into the California, you don’t have a qualifying event. If you already have health insurance, and move to a new region of California, that IS a qualifying event for a SEP. The rates may be different in the new region and your current health plan may not be available. Lost or will soon lose health insurance coverage either through loss of employment, reduction of hours or divorce. There is a 60 day window, with the exception of the AI-AN coverage, in which the application for health insurance must be submitted. The 60 days from the qualifying life event is the Special Enrollment Period window. After that period, you can no longer enroll in health insurance unless you apply for Medi-Cal. Only if you are a Covered California member can you report a change of income and be determined eligible to change health plans. This is because the household income determines if the Enhanced Silver plans are offered. A change of household income means the family may be eligible for a better Enhanced Silver plan or they may lose the Enhanced Silver benefits altogether. Reporting a change can be tricky. If you are terminating one job or wage and starting another, make sure the current month does not show income below 138% of the federal poverty level. If the income is less than 138% of the federal poverty level for the household size, or even $0, the family will be placed in Medi-Cal. While this may trigger a simple “carry-forward” status to allow you to pick another plan it may also dump the whole family into Medi-Cal. Medi-Cal looks at the CURRENT monthly income, not next month’s income. Be prepared to provide appropriately dated verification of your qualifying life event. The date on the document can be very important. If you received a letter 4 months ago stating your health insurance coverage would end, many carriers will not accept that letter because the date is outside the 60 day window. You may need to request an updated letter or document.